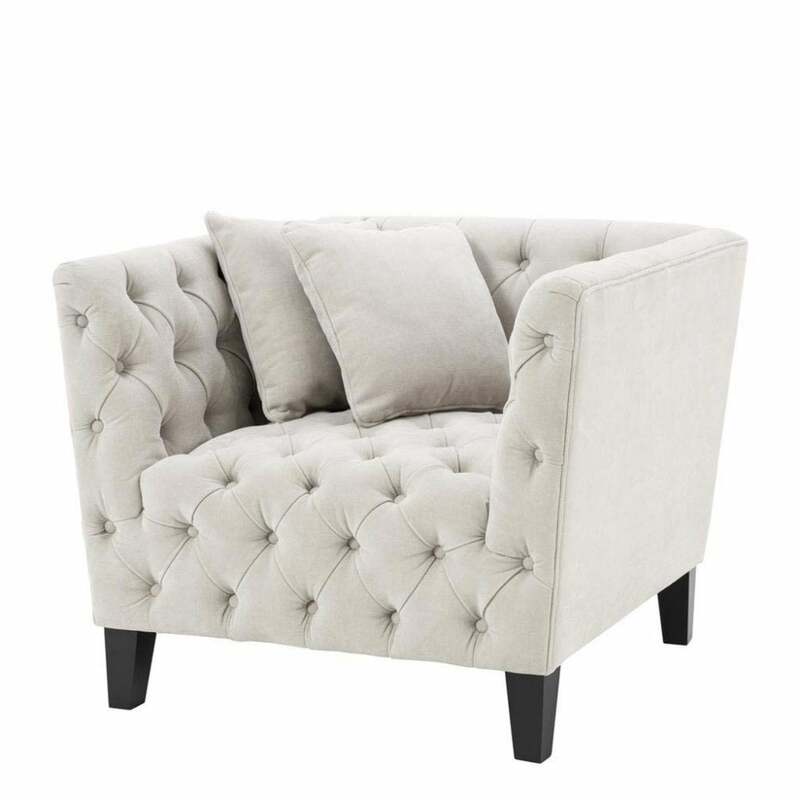 Create a luxe living room scheme with the Jason Chair from the Eichholtz furniture collection. Exuding Parisian elegance, this designer chair features sophisticated capitonné button-tufted detail in a timeless sand linen upholstery. The boxy frame is crafted from sturdy pine and plywood with a plush foam fill and spring system to provide sumptuous comfort. Perfect for reading and relaxing, the wide-set seat is ideal for one or even two to curl up in. Finished with polished black feet and two scatter cushions, the Jason Armchair will make a beautiful addition to both contemporary and traditional interiors. Make an enquiry for more information.